Interestingly from the posters, the look of both Mr Bachchan and Pannu will instantly remind you of their look in Aniruddha Roy Chowdhury’s ‘Pink’. If you don’t believe us, then check out the posters for yourself and decide. This is the fourth time when Sujoy Ghosh is collaborating with Big B. Earlier they have worked together in films like ‘TE3N’, ‘kahaani‘ and ‘Aladin’. 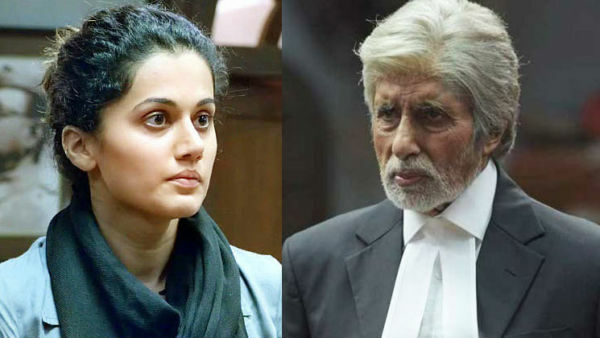 Big B and Taapsee will be sharing the screen space for the second time in ‘Badla’. Now, here you can have a look at Taapsee’s and Amitabh’s look from ‘Pink’ that released in 2016. Now that the trailer of the film will be out tomorrow, we are extremely curious to know more about the film’s plot and its storyline. Bankrolled by Red Chillies Entertainment in association with Azure Entertainment, ‘Badla’ is all set to hit the silver screens on March 8. 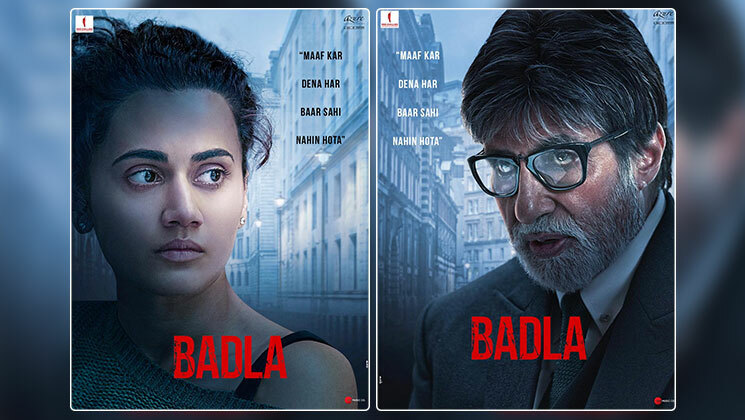 Until the trailer of ‘Badla’ is out, you guys keep watching this space for more such interesting updates.